What was Auguste Comte’s positivism? Comte advocated the use of mathematics for making decisions in ways that still influence statistics and business models today. He believed that our knowledge all comes from observation and asserted that it was impossible to know anything about physical objects that could not be observed. The goal of science was prediction, said Comte, and explanation has the same structure as prediction. He meant by this that a theory that generates predictions about what will happen can also explain what has happened. For example, suppose our theory is that friction, oxygen, and combustible material will cause fire. From this we can predict that striking a match will result in a flame, and we can also explain why striking the match causes the flame. Comte also thought that imagination should always be kept in check by observation. 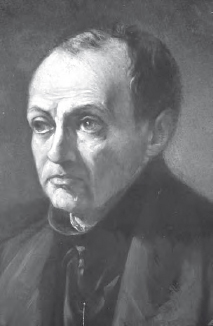 Auguste Comte is credited with coining the term “sociology” (Art Archive).